During today’s special nationally televised lottery selection program, managers of the eight qualifying teams entered in the second stage of this season’s National Series selected five replacement players each to supplement their championship round rosters. In an initial opening round, each manager chose a single eligible “reinforcement” player from an existing pool of 40 athletes – all drafted from the league’s eight recently eliminated squads. Eighth-place Pinar del Río owned the first selection and first-stage league leader Sancti Spíritus picked last. During four additional rounds each manager also selected a numbered ball in a blind draw to determine the order of the remaining drafts (with a new set of balls chosen for each round). 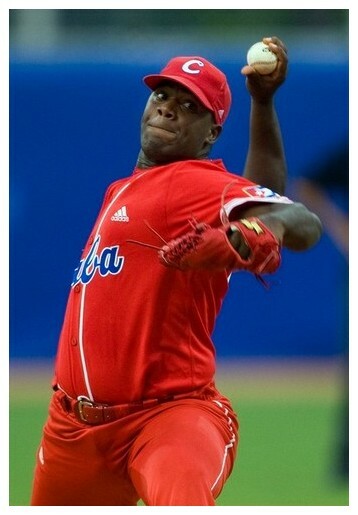 As expected, Pinar skipper Giraldo González opened the lottery by drafting Granma slugger Alfredo Despaigne. Roger Machado of defending champion Ciego de Avila then tabbed Santiago right-hander Danny Betancourt with the second free pick. Current league pacesetter Sancti Spíritus may have walked off with the biggest prize of all, however, when they landed Artemisa ace Yadier Pedroso. If Pedroso proves sufficiently recovered from his recent shoulder troubles, his addition to the already potent Sancti Spíritus mound staff may be just enough to make that club the odds-on favorite during the season’s second half race to the National Series championship wire. League-leading Gallos select national team ace Yadier Pedroso with lottery selection gamble. Which teams in the end seemed to strengthen themselves the most for the season’s second half? 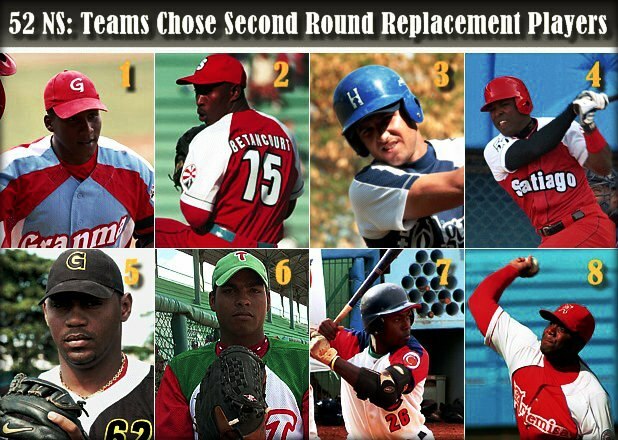 It would appear that the biggest winners were Victor Mesa’s Matanzas club (now owners of four additional ace hurlers) and perhaps Ciego de Avila (due to the acquisition of starters Betancourt, Leandro Martínez and Miguel Lahera). Easily the biggest loser seemed to be Industriales, which despite a desperate need for pitching failed to garner any of the top half-dozen most notable arms available. But while several clubs strengthened themselves by mere numbers, Aragón’s Gallos may well have gotten all they needed with the single additional of Yadier Pedroso to their already solid rotation featuring Ismel Jiménez, Angel Peña and Noelvis Hernández. Pedroso remains a gamble due to the arm injury that limited his first half selection; but the league leading Gallos were seemingly in the best position to take the afternoon’s biggest gamble.